Free information events for professionals and for people affected by all types of acquired brain injury and head injury, including families and carers. Two intrepid women are getting ready to climb three of the east of Scotland’s most well-known hills, as a thank you to a charity which helped one of them overcome a severe brain injury. Read more in the articles below. 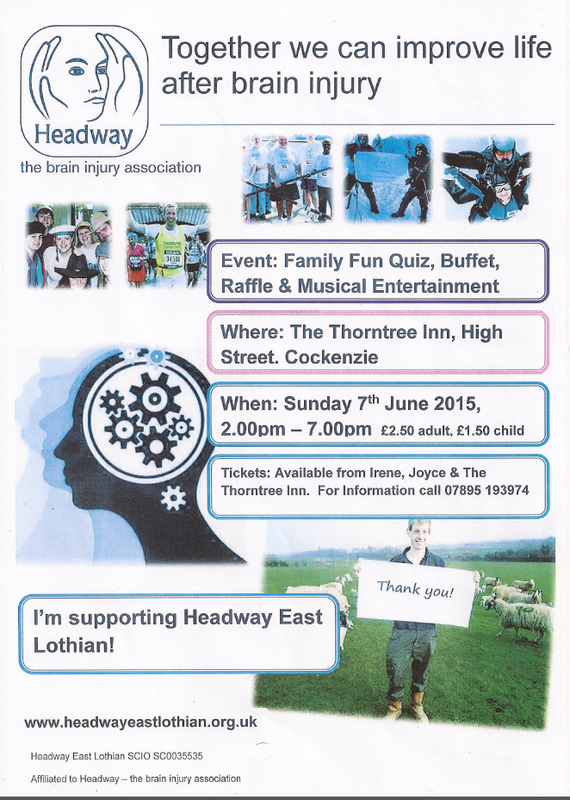 Headway East Lothian SCIO (Scottish Charitable Incorporated Organisation) supports adults over the age of 18 with an Acquired Brain Injury, their families and carers through the provision of peer support groups, access to advice and information, weekly meetings, and the provision of therapeutic activities aimed at increasing members’ health and wellbeing. There are many opportunities for volunteers to become involved in our groups. The Board of Directors is actively seeking new members to boost the skills base; IT skills, effective communication, business management, human resources, financial awareness and experience of other charity work are an advantage but not essential. We also have opportunities for those who would like to assist in the day to day running of sessions; organising or providing transport to and from meetings, arranging speakers and activities either through 3rd parties or with other members of the staff team. Interests in the arts & crafts, exercise, relaxation, talking and listening are all welcome. This is a great opportunity for those who have a professional interest in brain injury, rehabilitation medicine, psychology or the applied therapies such as occupational, speech and language and physiotherapy. Working with Headway can be a useful tool to other professions and a great learning experience. We offer full induction training, PVG applications, expenses are provided and the opportunity to take part in nationally accredited training through Headway UK. We welcome applications from all age groups and streams of society and are pleased to be part of the Saltire Awards for younger volunteers. Volunteering with Headway East Lothian can be very flexible; from a few hours each week to a few hours each month. As our groups grow with an ever increasing demand for our services so does our need for committed volunteers. For further information and an application pack please contact Joyce Cattanach, Development Officer on any of the details below. 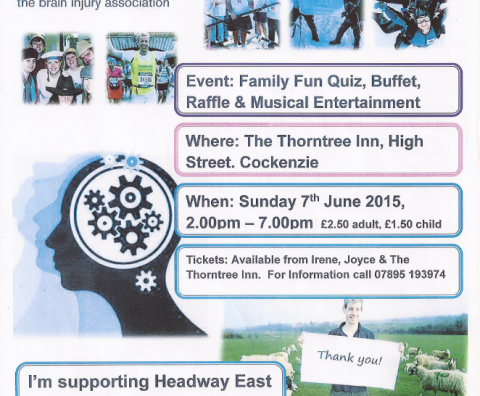 Join us on Sunday 7th June 2015 at 2pm and support Headway East Lothian. This event will take place at The Thorntree Inn, High Street, Cockenzie, tickets are available from Irene, Joyce and The Thorntree Inn. For further information call 07895193974. 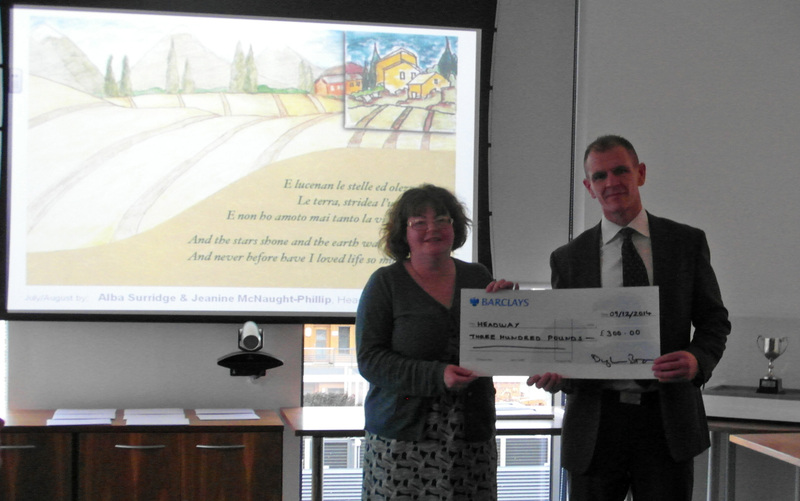 Headway East Lothian, Development Officer, Joyce Cattanach receives £300 for the Headway East Lothian Group for the Christmas Card and Calendar Competition. 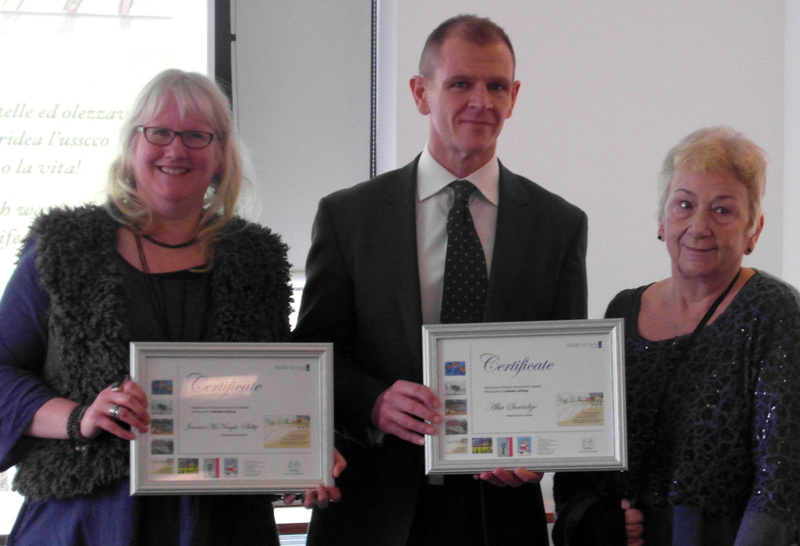 Alba Surridge and Jeanine McNaught, joint winners of the Christmas Card and Calendar Competition, the winning design will represent July/August in the Calendar Competition. Each of the winners receive a £50 gift card. 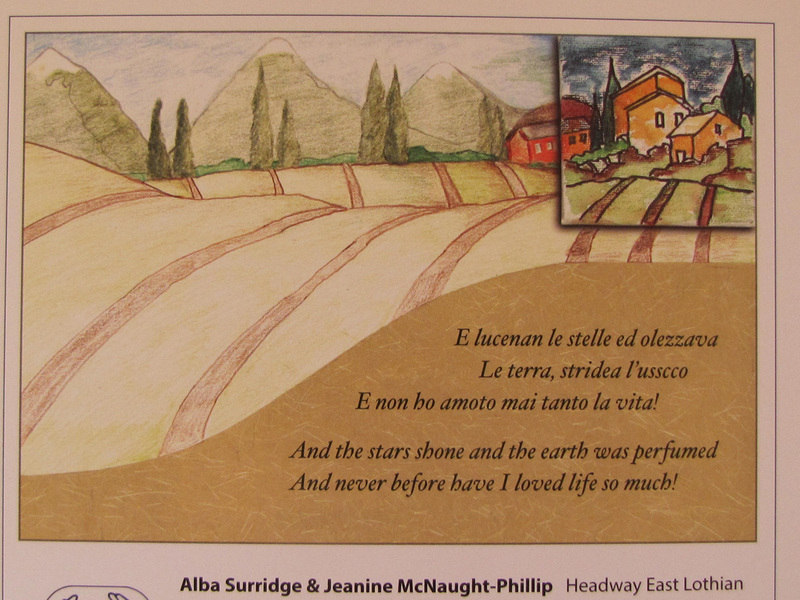 Winning entry by Alba Surridge and Jeanine McNaught representing July/August in the calendar competition. Leading brain injury charity Headway has welcomed new rules on how Premier League football clubs deal with head injuries.